You are single, got married and you want to change your family name in all your legal documents. Pretty much easy, but how about changing your name in your passport? 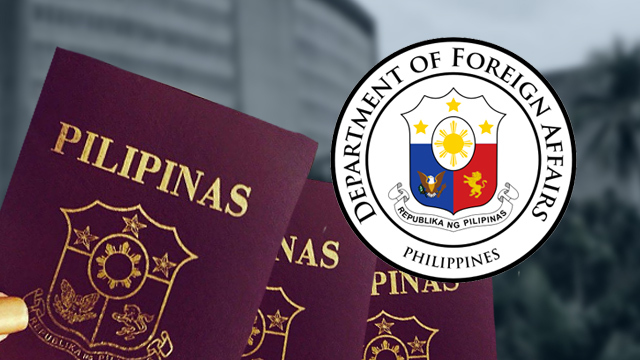 Getting a passport in the Philippines is not easy since you have to undergo many processes such as setting an appointment that may take a week or a month. Self-addressed return envelope, with appropriate stamps for express or priority mail with tracking numbers via US Postal Service, or with pre-paid mailing envelope from private courier of choice, if Passport is to be mailed back. Passport fee of $60.00 (non-refundable), payable in cash, or money order, bank draft, certified check or cashier's check, made payable to "Embassy of the Philippines" (or "Philippine Consulate General", if the application is made at one of the Philippine Consulates General in the U.S.). Personal checks and credit cards are not accepted. NSO-certified original copy and one (1) photocopy of marriage certificate, if marriage was solemnized in the Philippines (original will be returned). NSO Marriage Contract, with annotation reflecting the annulment of marriage, for annulled marriages. 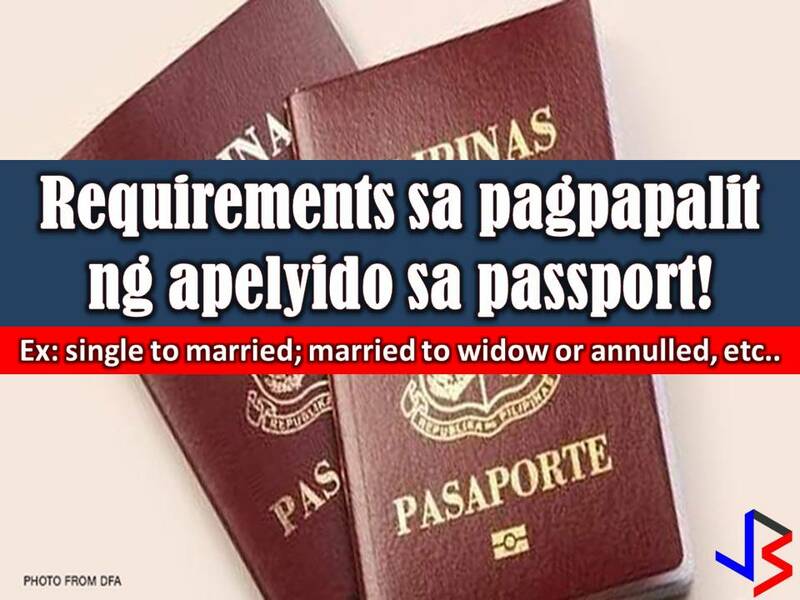 Note:If the Filipino spouse acted as plaintiff, and has since remarried and assumed her second or succeeding spouse's surname, the Embassy/Consulate General may issue a Certificate of One and the Same Person, indicating both of the names used by the applicant and an explanation of why the new passport cannot reflect her current married name. Read: What Your Passport Color Really Means? NSO Birth Certificate with annotation reflecting the change of entry. 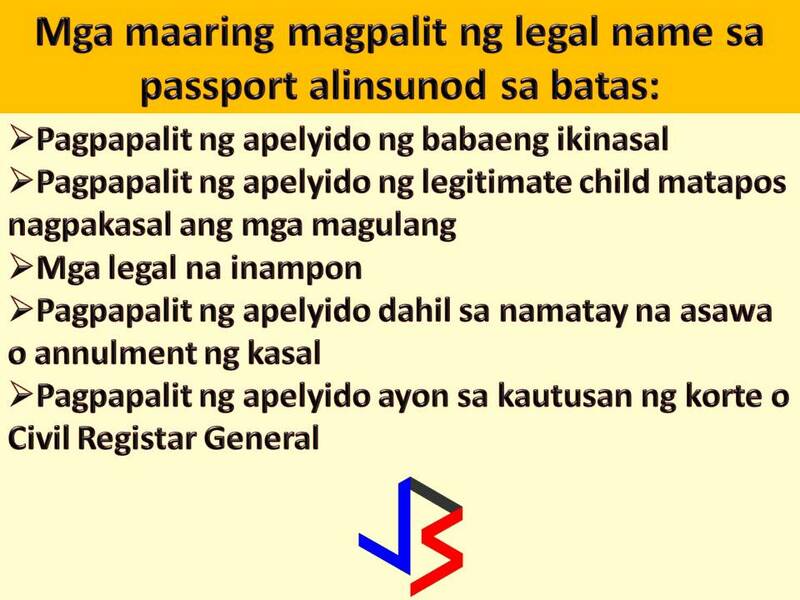 Planning to change your legal name in your passport? You can set an appointment HERE and on your schedule date, don't forget to bring the documents needed as well as your confirmed appointment, duly accomplished application form (download HERE and print in A4 paper – do not sign it yet! ), recent/ expiring passport, acceptable IDs at least one. Passport Fee is P950 for regular processing - 15 working days while P1200 for express processing - 7 days.